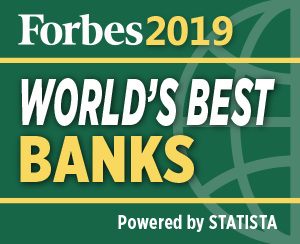 For the first time, Forbes and Statista are honoring the World’s Best Banks by consumer opinion, recognizing the best banks in 23 different countries. The banks were chosen based on a global survey of more than 40,000 bank customers. In the US ratings from another 25,000 customers from the Best-In-State Banks survey were included. For each criterion a detailed battery of questions was asked. In total the survey took an average of 10 minutes to complete and the field period ran in December 2018. In each country the banks with the highest scores have been honored. The number of recognized banks for each country varies between 5 and 60 (depending on the amount of evaluations collected, the number of active banks in the specific country and the scores achieved). 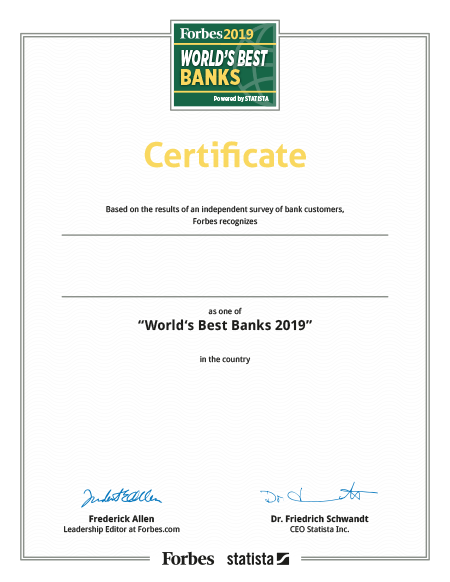 In total, 415 banks across 23 countries were awarded by consumers as the World’s Best Banks.